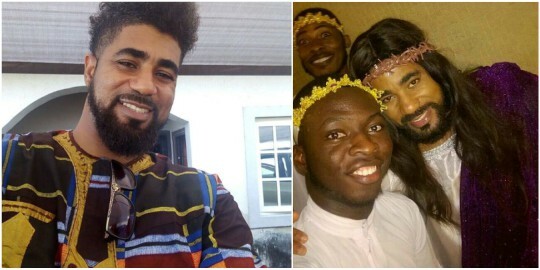 Big Brother Naija housemate and married father of two, Thin Tall Tony, in a new drama role with dance ministers, Spirit of David crew, was made to look like Jesus. 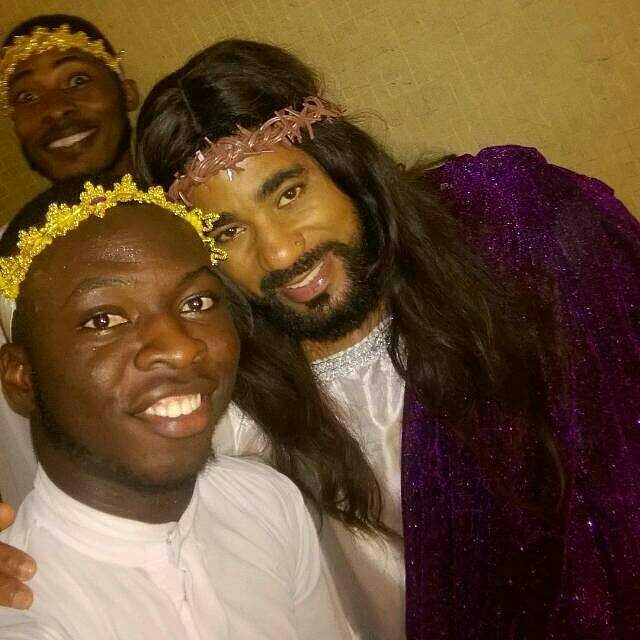 The ex-housemate took to Instagram to share the photo and he truly resembled the hollywood actor who plays Jesus' role in Christian movies. "Credit to @onuche_iam : Have had the privilege of working with some awesome friends of SOD as well. @thintalltony. @mauphiz just had to stick his face in . @spiritofdavidgdc has been a blessing.#DanceMinisters #CelebratingSOD@20 #BlessingLivesSince1997 #Memories #thintalltony #changebeginswithme #whatscrackerlacking #madlove #madeinnigeria #proudlynigerian"